The High-Band Array cables have now all been laid in the trenches. The folks at Chilbolton have now covered them over ready for the final surface preparation. However, this not a trivial task. First, the cables need to be covered with a protective layer of sand. This is to shield the cables from any sharp flint or other stones in the trench, which may cut or abrade them. Then the trenches themselves are filled in, leaving the cable exit points exposed. 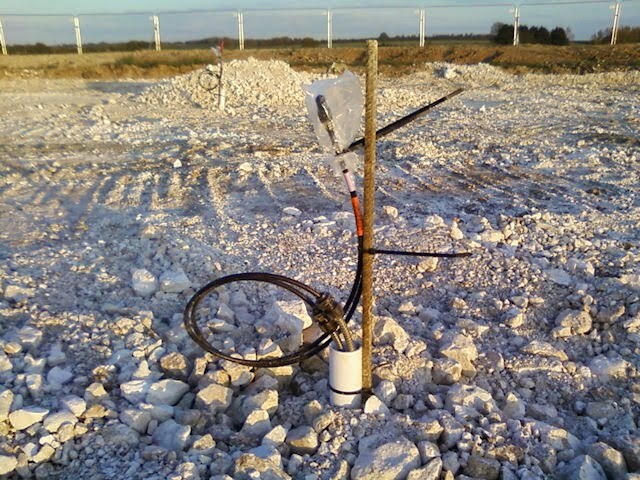 The cabling team then move in to remove the survey peg and holding ties, insert a marker, apply a guard at the actual exit point and then re-tie the cable to keep it clear of the ground. The cables are then subjected to another quality-assurance inspection. 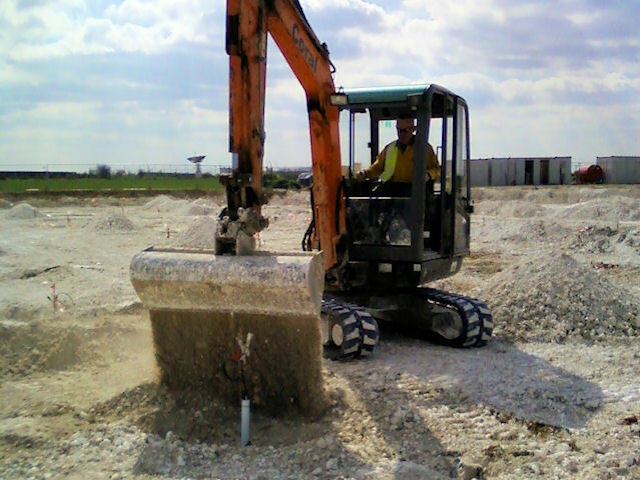 Once this is done, the final backfill can occur. So far, this process has been completed for about half of the HBA. 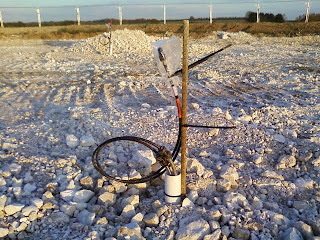 When complete, the field can be levelled to high-accuracy ready for the tile antennas. The first picture shows the sand which as been laid down, and the digger covering the main portion of the trench with pre-excavated material. 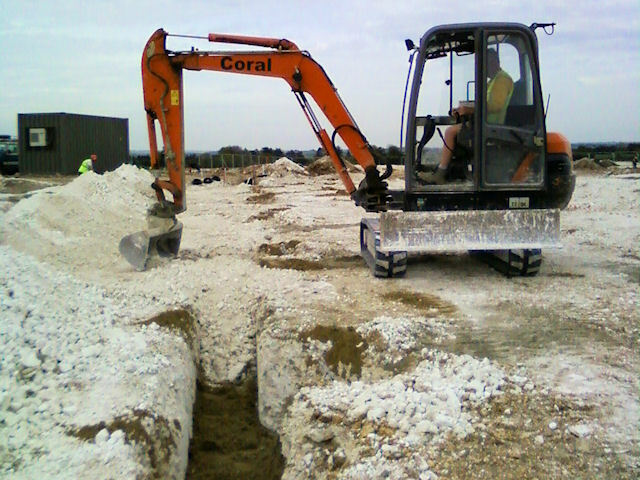 Then once the cables have been prepared the next backfill can occur. The equipment operators need to be very skilled to work this close to the exposed cables. Finally, preparations complete! This pair of cables has now been secured ready for the application of the surface gravel.